Bankim Chandra Chatterjee also known as the ” Bankim Chandra Chattopadhyay ” who was one of the greatest novelists and poets of India. He is famous as author of Vande Mataram which are the national song of India. Bankim Chandra Chattopadhyay was a voracious reader and was especially interested in Sanskrit literature. He got admission in the Presidency College in Calcutta in 1856. After completing his education, he joined government service and retired in 1891. Bankim Chandra Chattopadhyay was born on 27 June 1838 in the village Kantalpara of the 24 Paraganas District of Bengal. Bankim Chandra Chatterjee belonged to a family of Brahmins. The word ‘Bankim Chandra’ in Bengali means ‘the moon on the second day of the bright fortnight’. Bankim Chandra’s father Yadav Chandra Chattopadhyaya was in government service. After his birth he was posted to Midnapur as Deputy Collector. 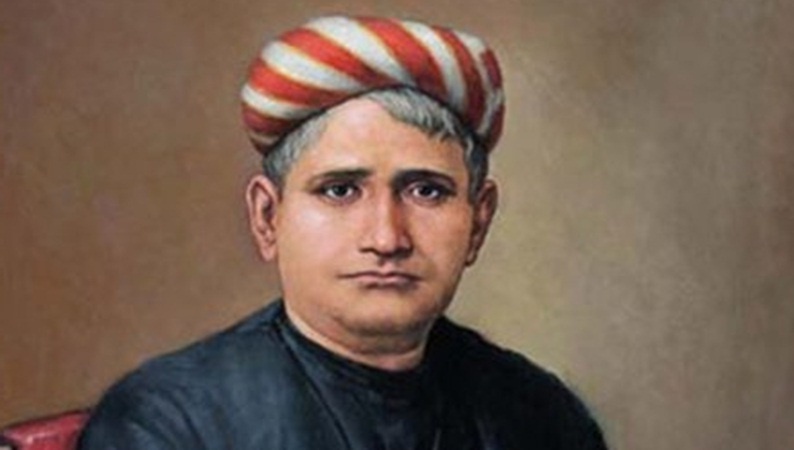 Bankim Chandra Chattopadhyay or Bankim Chandra Chatterjee was born on 27 June 1838 in the village Kanthalpara in the town of North 24 Parganas, Near Naihati, in an orthodox Bengali Brahmin family, the youngest of three brothers, to Yadav Chandra Chattopadhyaya and Durgadebi. His father, a government official, went on to become the Deputy Collector of Midnapur. One of his brothers, Sanjib Chandra Chattopadhyay was also a novelist and his known for his famous book “Palamau”. Bankim Chandra Chattopadhyay was educated at the Hooghly Mohsin College and later at the Presidency College, graduating with a degree in Arts [Law] in 1858. He was one of the first two graduates of the University of Calcutta namely he and Jadunath Bose. He later obtained a degree in Law as well, in 1869. Bankim Chandra Chattopadhyay was appointed as Deputy Collector, just like his father, of Jessore, Chattopadhyay went on to become a Deputy Magistrate, retiring from government service in 1891. His years at work were peppered with incidents that brought him into conflict with the ruling British. However, he was made a Companion, Order of the Indian Empire in 1894. Bankim Chandra Chatterjee was married when he was only eleven . At that time his wife was only five years old. Bankim Chandra Chattopadhyay was only twenty two when his wife died. After some time he married again. His second wife was Rajlakshmi Devi. They had three daughters but no son. Bankim Chandra Chatterjee firstly started to publish his Novel in a newspaper and sell it weekly and later he started to write his own novels and publish it. He began his career as a writer. As a writer, he had a great talent in him. Because of his talented writings, he can get an award for his attempts for the novel. Bankim Chandra Chattopadhyay started to write his Novel in the Bengali language. Bankim Chandra Chatterjee would get a prize for his first novel. But the Bengali novel never got published and he did not get any prize. He also wrote a novel in the English language. Bankim Chandra Chattopadhyay tried to write many novels in English but his literacy in English was very poor so he decided to move his novel writing to Bengali only. Bankim Chandra Chatterjee first Bengali novel was published in 1865. He mostly right romantic novels but sometimes try some of the historical novels. In the year 1872, Bankim Chandra Chattopadhyay started to publish his magazine daily his most of the Bengali novels got a great response. Many of his novels started to get a great response such as Sitaram, Krishna Charitra, Lok rahasya and many more. Bankim Chandra Chatterjee had founded a journal called ‘Vangadarshan’. ‘Anandamath’ appeared in installments in this monthly journal. In 1882 it appeared in book form. Soon the copies were sold out and the book was reprinted. During Bankim Chandra’s lifetime alone, in ten years ‘Anandamatha’ was reprinted five times. Readers found reading a Bankim Chandra Chatterjee novel an altogether knew kind of experience. The people of Bengal were fascinated by his novels. When the novels were translated into other Indian languages they delighted the new readers too. Bankim Chandra Chattopadhyay is regarded as one of Bengal’s treasures; this was because of his novels. Bankim Chandra had give thought to the question of a writer’s style. A novelist tells a story. How should he write? His language must be the language of the people – language they can understand; he must write as they speak, thought Bankim Chandra. He wrote in that manner. Though his language was close to the spoken form of his day, it was attractive. The Bengali language acquired a new dignity because of his writings. While at Khulna, Bankim Chandra Chatterjee began aserial story named “Rajmohan`s Wife” in the Indian Field newspaper, then edited by Kishory Chand Mitra. This was his first public literary effort. Bankim Chandra Chatterjee was a great writer with a diffrence ahead of time . His writings were adroned with beautiful original Bengali language heavily influenced with Sanskrit stanza. Before Great Rabindra Nath Tagore He modernized bengali language for future generation. He established Bengali language major language in India after English.He transformed bengali language into rich Lyrical form which was inherited from ancient Sansrit language through his writings. Bankim Chandra Chattopadhyay was superb story-teller, and a master of romance. No Bengali writer before or since has enjoyed such spontaneous and universal popularity as Chatterjee. His novels have been translated in almost all the major languages of India. We most lovingly remember Bankim Chandra Chatterjee as the teller of great tales. An extremely popular writer, he redefined the trend of literature of his time. Many of his stories have been made into plays and films. Even today one-and-a-half-century later, his stories appeal to us. His heroines and heroes are so impactful that they kind of evolve us. 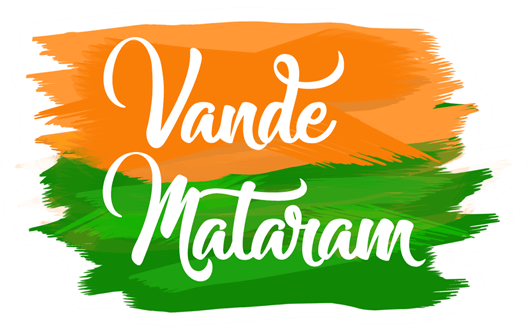 Although Bankim Chandra Chatterjee is known for all of his novels and essays but he is known for ‘Anandamath (The Abbey of Bliss) the most as it was from this novel that Rabindranath Tagore took the song ‘Vande Mataram’ and converted into the national song of India. Bankim Chandra Chatterjee was extraordinarily intelligent since childhood. He was married at the age of 11! Bankim Chandra Chattopadhyay was among the first few graduates of University of Kolkata. He served British Government in the same position as his father. Bankim Chandra Chatterjee first published novel was a big flop. Despite being a servant in the British Government, he hated the British. Bankim Chandra Chattopadhyay got his first ever popularity at the age of 27. For the first few years, he was mainly a writer of romance. His work was much appreciated by the critics, too. Bankim Chandra Chatterjee owned the art of creating outstanding humorous sketches, too. His inspirations were as glorious as his work. Even with all that fame, he lived the life of a commoner. Bankim Chandra Chatterjee passed away on 8th April 1894. Bankim Chatterjee was superb story-teller, and a master of romance. No Bengali writer before or since has enjoyed such spontaneous and universal popularity as Chatterjee. His novels have been translated in almost all the major languages of India. He passed away on April 8, 1894. How to Report a Cyber Crime in India ?